The red pagoda umbrella for lovers of red! 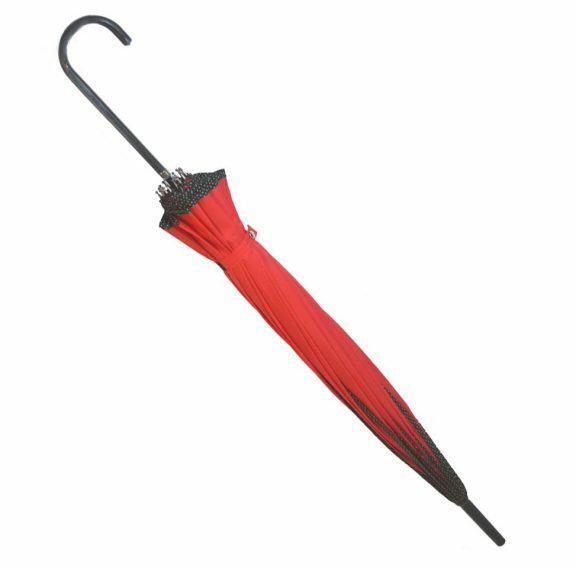 Classic good looks make this striking red pagoda shaped umbrella the ideal accessory for special occasions. 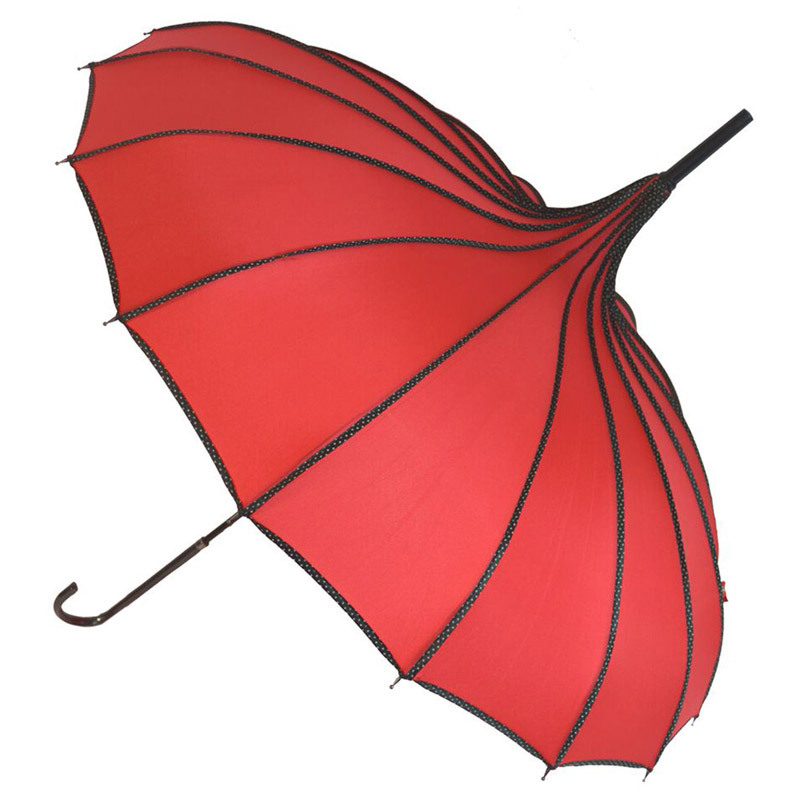 The red Princess is both an umbrella and parasol – use it in both sunshine and rain! This red pagoda umbrella is simply stunning. Positively perfect for any occasion, from a wedding to just popping to the shops! Featuring a lovely red canopy with a beautiful black polka dot piping. 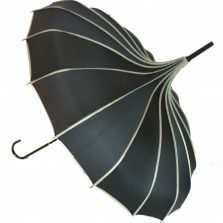 This boisterous ‘brella also has a smart matching black handle and tip. Red is the colour of Love, Christmas and warm winter berries. How about gifting this lush ‘brella and spreading the love? The red Princess Pagoda has something of an oriental appearance, don’t you think? Elegant, dashing, daring … the sort of umbrella you would see in one of those old fashioned movies. 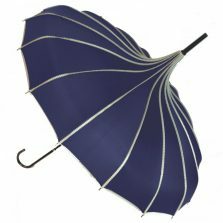 But it not only looks drop dead gorgeous, it also benefits from modern umbrella technology. So, it’s comparatively light and strong too! Not the one for you? 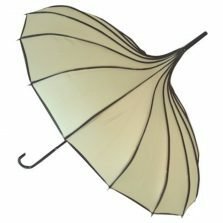 Click to check out the rest of our range of perfect pagoda umbrellas!